This small potato, embroidered with Amalie's magic will grant you an Access to Patreon-only giveaways. These advanced potatoes enhanced with Liliannyumu will grant you 1 extra chapter (2 new chapters on Friday) of Heroine of the Broken Engagement a week. 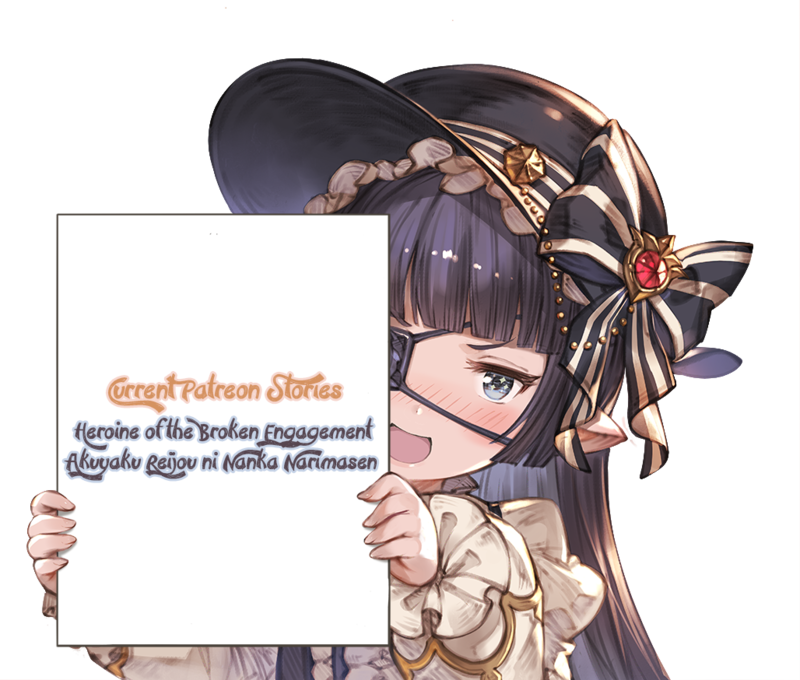 All 90 chapters of Heroine of the Broken Engagement. 2 chapters of Akuyaku Reijou ni Nanka Narimasen (1 on Thursday, 1 on Friday)*** a week. ***I reserve the right to split long chapters in halves and consider the halves as chapters of their own!